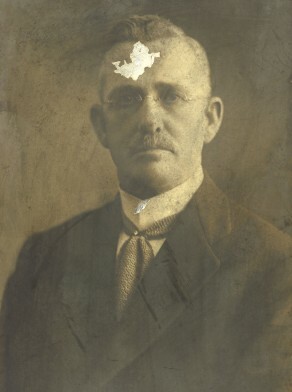 Finlay Elgin Munro was born at Sale Victoria in 1867, son of James Munro and Annie. On 8 March 1888 he married Jessie (Janet) Duncan at Newtown who died on 26 January 1928.There were four daughters and four sons of the marriage. In 1933 he married Florence Eva Coulter at Castle Hill. He died at Castle Hill on 14 January 1939, aged 71 years. Florence Munro died on 8 September 1940. After qualifying as an architect in 1888, Finlay Elgin Munro was associated with the building in Sydney of head offices of the ES & A Bank, AMP Society and the Permanent Trustee Co. He was President of the Master Builders Association of NSW in 1922, and he represented Australia at Wembley Empire Exhibition in 1924. Munro was life patron of the Glebe Workingmen’s Institute. He was president of the Master Builders Association of NSW, and a past President of the NSW Bowling Association and Munro was a former NSW Lawn Bowls champion. Finlay Elgin Munro as mayor requested establishment of an emergency hospital for influenza patients in Glebe in May 1919 with Glebe branch of the Red Cross using Glebe Town Hall. Munro presided over the laying of the foundation stone at Glebe Public School War Memorial in October 1919.